We had an opportunity to build the website for the Wishing Well International Foundation, thereby fueling their efforts to provide every person around the globe with safe, clean drinking water. 900 million people worldwide don’t have access to this most basic need, which is why it is literally resulting in unnecessary deaths on a daily basis. Our website and social media channels are spreading the word as fast as electricity can go, which means were helping to save lives daily. Wishing Well International Foundation (WWIF) is a 501 (c) (3) non-profit organization which provides clean, safe drinking water to developing areas. In partnership with our donors, sponsors and deployment specialists around the world, WWIF coordinates the installation of water filtration systems in communities that lack access to clean water. 100% of public donations to WWIF are used to fund these deployment projects. The daily operations of the Foundation are funded by in-kind donations. It was a privilege to help this life-transforming organization with their website development. This project is close to the Duchess of Cambridge’s heart, so we were happy to join forces and share our passions. Proud2b ME® Global is a training provider of family transformation and community development programmes. Since 2003 Proud2b ME® Global, founded on the life affirming work of Adéle MomNdela Grosse, has offered transformation programmes for community development and family preservation. Sport is an extremely constructive and exciting way to instill discipline and infuse passion into these young lives. Idle youngsters easily fall into the traps of gangsterism and crime, when their lives seem meaningless and without direction. By contributing our time and skills, we wanted to participate in the fantastic work this organization is doing. Investing in our youth is an investment for the future. It touches all our lives and hopefully changes theirs in wonderful ways forever. Play Sport4Life (PS4L) is a non-profit organization based in Cape Town, South Africa. Our mission is to improve the lives and well-being of disadvantaged communities. We are dedicated to helping communities deal with challenges, bettering the lives of those involved and promoting a passion for sport. Our programs are currently focused on the communities of Kensington, Factreton and Maitland (KFM). In keeping with our commitment to and passion for Wishing Well International, we also joined in to develop the website template and initial content for Wishing Well South Africa. We are helping them raise awareness for the big 2017 Expedition, that is guaranteed to save and change thousands of lives in Africa. With 884 million people lacking access to safe drinking water and 1.6 million children dying every year (One child every 20 seconds) from waterborne diseases, it is imperative more and more people get involved to help those less fortunate. To reduce exposure to disease and save lives we need to provide wells, supply the means of cleaning and improving the water coming from contaminated sources, teach everyone the importance of drinking safe, clean water and teach people about hygiene and the importance of washing their hands when handling food. Their vision is to become the place where dreams are made. By building their website for them and establishing their presence on the correct platforms, we believe they will not go unnoticed and that every child will have ample opportunity to achieve his/her true potential. 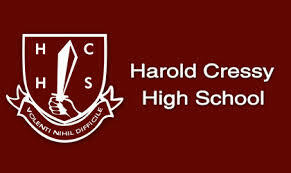 Harold Cressy High School is a school in the City Bowl which has served the educational needs of the surrounding and extended community for more than 60 years. Since its inception, the school has strived to provide a stable, nurturing environment where learners can achieve their true potential, regardless of their backgrounds and challenging circumstances. It was a privilege to design a variety of marketing materials for Life College. The group employs business principles for social impact – an effort, we believe, is well worth supporting. LifeCo UnLtd South Africa is a replicable social business and is owned and governed by a charitable trust. The group employs business principles for social impact. Life College Group (founded in 1997) has merged with UnLtd South Africa (founded in 2011). LifeCo Unltd SA as a group exists for society’s benefit and distributes 100% of its net proceeds and declared dividends to society.